Zanisnik on the individualized baseball card (hyper)archive: “I was looking at [my baseball card] collection for the first time in probably twenty years, yet when I picked up individual cards I could remember all sorts of details: which position in the outfield someone played, which year he made the All-Star team. 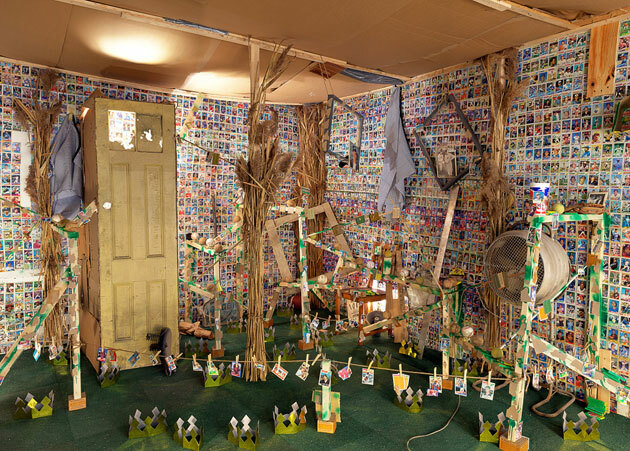 This physical interaction stirred up dormant long-term memories.From that point on, I began conceiving of these sets and installations as physical manifestations of childhood memory—albeit ones structured by commodity culture. It’s the visual and tactile qualities of these consumer objects that activate a set of memories for me and hopefully for others as well. ” “Baseball Card as Madeleine” indeed.